Note: This slide set is out of print, and is no longer available for purchase from the LPI. The Apollo missions provided samples and photographs of the Moon from six separate locations. 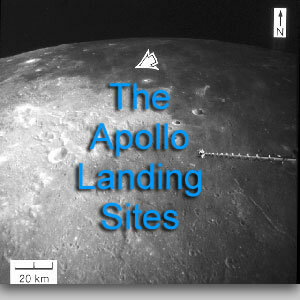 The geologic context of the landing sites provides a useful framework for synthesizing the many results obtained from analysis of the lunar samples. This slide set portrays the six landing sites at a variety of scales, ranging from Earth-based telescopic views spanning hundreds of kilometers to high-resolution photographs obtained from lunar orbit, as an aid to evaluating the geologic setting of each site. References are provided at the end for those interested in additional information on the geology of the Moon. Schematic map of the lunar nearside showing Apollo (A) and Luna (L) landings sites, mare basalt units (patterned), and large basins (dashed).